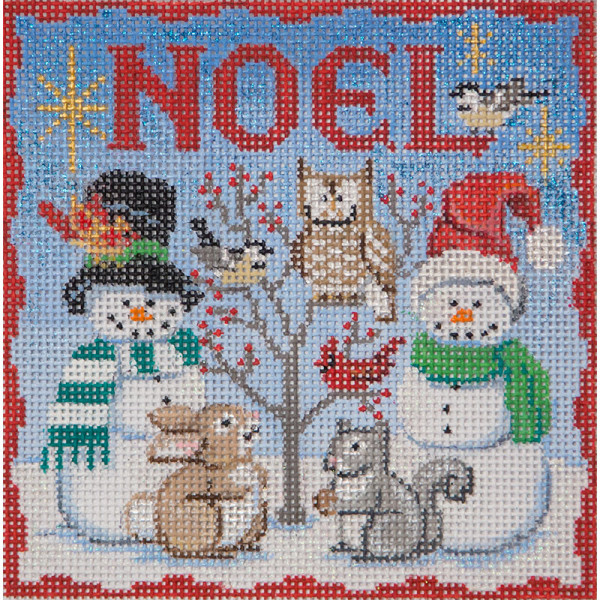 A cheery Christmas needlepoint design from Alice Peterson featuring a snowy scene of owls, cardinals, squirrels and snowmen. 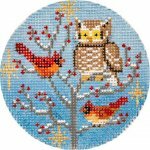 The design is handpainted onto 13 mesh needlepoint canvas and measures 6" x 6"
It is available canvas-only or with your choice of fibers: cotton floss or Planet Earth wool and silk. If you require stretcher bars we recommend two pair of 10" and some thumb tacks. This canvas is usually in stock and can ship in 1-3 days. Contact us if you have any questions.